We are confident that we can offer you and your family a drug-free way to achieve and optimize your health. Don’t take our word for it, though - listen to what our clients have to say! For years I could not sit or stand at all without experiencing chronic lower back and shoulder pain. I also suffered from persistent insomnia. I had been to physical therapy, and other chiropractors that snapped and cracked my spine but it did not give me true relief at all. At first, I had a few doubts about chiropractic care; however, I was comforted in how warm and professional Dr. Glen Johanson and his practice . Dr. Glen made specific adjustments that were very gentle. After being under chiropractic care, I no longer have pain and I am able to sleep through the night! Overall, chiropractic care has given me a better life and wellbeing! I would highly recommend Atlas Family Chiropractic. For years before coming to Dr. Glen Johanson, before I was stressed out, tensed up and unable to relax and let go of the day. My mind was constantly racing. This took its toll on my physical wellbeing forcing my blood pressure up at times. My primary care doctor prescribed blood pressure medication. Then a friend recommended that I see Dr. Johanson. It was immediately apparent that Dr. Glen is genuine and has a call on his life to lead and care for people. The day after my FIRST adjustment I had a checkup with my primary doctor and my blood pressure was back to a normal 120/84! Now I recommend chiropractic to all of my friends who are suffering and I know that there are 3 thing needed for health: Normally working Nervous system, normally working Digestive system and Good food! That's It! And there is no one I trust more than Dr. Glen to keep my Nervous system at its best! At the urging of family member, I came to Atlas Family Chiropractic as a last resort before quitting my job and applying for disability. My top complaints were non-stop headaches/recurring migraines, fybromyalgia, sciatica, and difficulty breathing. Some of my other symptoms included being unable to walk across the room without pain, inability to chew my food, inability to walk up stairs without gritting my teeth and holding my breath, and inability to get a good night's rest. I cannot remember that time I was without pain, ever. On a pain scale of 0-10, I frequently experienced pain at a 15 and considered a 6 to be a good day! I also suffer from complex Post Traumatic Stress Disorder (PTSD) and overwhelming physical and emotional trauma. In Dr. Johason’s office I found that my PTSD history was not overlooked or considered irrelevant as it had been by other practitioners! Instead I found that the glimpses into my past that I choose to share were both safe and enabling. Dr. Johanson listened and applied his chiropractic skills to receive further insight into developing a personal chiropractic treatment plan. I was impressed by the careful attention to detail throughout the assessment period, and the way Dr. Johanson continues to consult and train with other Doctors to stay on the cutting edge of research, practice, and technique. Due to this, I am able to make better decisions for my life. Under the care of Dr. Glen, my quality of life has improved, I have been able to remain gainfully employed, and my baseline level of energy has risen by 10%! I ‘bounce-back’ more quickly and effectively from challenging days and I am now able to participate in more activities that I enjoy! My headaches and migraines are reduced. There are less of the extremely high pain days, my sleep disorder has lessened, and the sciatica is gone!! Initially my chiropractic care was to treat "back pain". I had thought about spinal health, but my thought was pain=improper alignment. Today my thought is proper alignment=proper function = health. I tell my network that chiropractic care is a part of my overall health. One of the largest improvements in my life has been my quality of sleep. My back was in terrible shape due to numerous injuries over the course of my life; compressed, slipped and fused vertebrae which caused extreme pain every day. My x-ray was scary looking to say the least. Pills are not an option, but chiropractic care is natural. I was nervous but Dr. Glen reassured me that he could help and his care was very gentle, I actually wondered if it would do anything. Chiropractic care is the best overall way of taking care of your health. It is prescription-free, therefore non-toxic to the rest of your body, not poisoning it with man-made pills. Chiropractic care has made my life so much better and pain free. My mobility is amazingly free, to be able to bend over and touch my toes without pain is great. I during the NHL playoffs I got hit hard and injured my low back, I saw our team sports therapist which gave me some relief and I made it through the playoffs. I returned to Canada and continued with massage therapy and traditional chiropractic with only temporary relief. I tried dry land training but was unable because of low back pain. I was referred to Dr. J’s office by other players and my dry land training coach. Glad I went, Dr. J took the time to find the problem, explain it and he definitely had the skill to correct it. After two weeks I had a dramatic improvement and at six weeks I am able to skate again at 100%. Thank you Dr. Glen, thanks for all your help and support. I play in the NHL and take a lot of abuse throughout the season. I got referred to Dr. Glen office by friends that had seen him and gotten great results. When I went in the staff were great and I received a complete evaluation before and explanation of what my care would look like. The adjustments that I received were very gentle and I was a bit skeptical if they would actually help. Well I am glad I followed though, I am playing the best ever of my career and will make neurological corrective care part of my training regimen from now on. I was totally apprehensive about seeing another chiropractor after having a couple bad experiences in the past. After battling chronic migraines and having some sort of headache every day for 30 years, trying a lot of prescription medication with no relief, my M.D. actually was the one that referred me to Dr. Johanson. I was apprehensive about going but my M.D. assured me Dr. Johanson was very good, experienced and keeps up with the latest technology/techniques available (with his gentle technique there is no twisting or cracking). My quality of life was really lacking having headache everyday my family suffered, I suffered and I feel I have missed out on my life. After an examination and seeing for myself the damage in my spine I had hope that I could be helped. I am so glad that I went to see Dr. Glen. After two weeks my everyday headache was gone! After one year of care I had only two migraines that were much less severe. Dr. Johanson is also very good at explaining chiropractic and takes the time to make sure that you understand the healing process and how to achieve optimal health. With my consultation Dr. Glen said that he would help me with my headaches, which he has but he also explained as we corrected my spine, removing nerve interference and promoting healing that it may have a very positive affect on my Chrons disease. I was very skeptical to this new information but again had hope that it possibly could help because I already had life changing results with care. In my second year of care I was really doing well and had not experienced any of my usual Chrons symptoms. At my regular appointmoint monitoring my Chrons disease my doctor’s office called me in to discuss my results. I no longer had any signs of Chrons disease! When my M.D. asked what I had been doing different in the last year my only answer was receiving regular chiropractic which he had recommended for my migraines. My best recommendation is go see Dr. Johanson, you have nothing to lose but everything to gain. I first came to Dr. Johanson for pain and numbness in my lower leg that was so bad I could barely walk. The office was very welcoming and a safe place, as well as professional. After one adjustment with Dr. Glen my foot pain immediately improved. Dr. Glen took the time to teach me about the connection between the spine, the nervous system and the rest of the body; it made a lot of sense. When I first came to Dr. Johanson, I was extremely skeptical, but all those doubts have been overcome by the results I have experienced. Now my whole family and a number of friends that I have referred all get regular care in Dr. Johanson’s office. Dr. Glen truly cares about his patients as people and devotes himself to helping them!!! Dr. Glen’s chiro care should be a requirement for prevention of conditions. Getting regular adjustments has made a world of difference. First the headaches went away, then my back has gotten much better and I continue with treatments to prevent these headaches and pain. It feels better to have an adjustment rather than to take pain medication to cover the symptom but never address the cause. You can gain better results with adjustments. I'm pain free with regular adjustments. No more pain pills! I take my kids to be checked every two weeks. Good nerve function equals a healthy body and soul. Go see Dr. J he will take good care of you and your whole family. 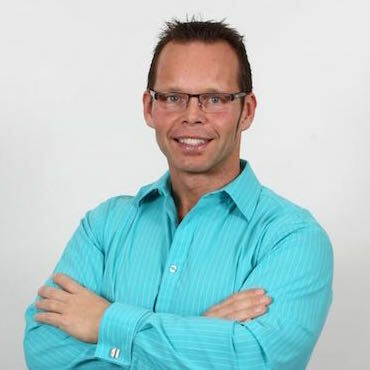 Dr. Glen has been taking care of the family for over 3 years now and we have seen significant changes in our health! This past year Dr. Glen cared for me during my 3rd pregnancy. (My pregnancy was considered high risk because of my age of 41.) Well, due to consistent chiropractic care, I had no major issues! As a matter of fact, my last delivery was a better experience than the other two! I had a natural birth and delivered the baby within 10 minutes of arriving to the hospital! And neither Sam nor I received any medication during our stay! I contribute all of these things to my chiropractic care plan and Dr. Glen’s gentle care. On the behalf of our family, we like to say "Thank You" to Dr. Johanson and Atlas Family Chiropractic for guiding us in a healthier longer life. We consider our chiropractor as family and we look forward to seeing him every week! I had issues with my neck and could not turn my head to the left. I also had panic attacks which I had no idea chiropractic could help. Dr. Glen explained removing nerve interference would allow my body and brain to function better. Try it, listen to your body and it will let you know how it will be working for you. I now have full motion in my neck, and as a bonus it stopped my panic attacks. I was skeptical, but I trusted them so I figured I’d be hopeful and give it a try. My tensions were put at ease as I entered the positive environment of Dr. Glen Johanson’s office. He always ensures that I am well educated on what he is doing and why, and I know that as my doctor he is truly listening to me. Since I have been under regular care, I have stopped having the sharp pains and I rarely find myself in “crisis mode” anymore! I love that Dr. Glen is flexible to work at meeting my needs, and also that he carries a great concern for my wellbeing! He truly works with me on every possible aspect to ensure that I can get the best care and be in my best health!